Report reveals the Southeast Asian country is the world’s ninth largest mobile ad market. According to The Buzzcity Report, in the second quarter (Q2), Thailand became the 9th biggest mobile advertising market in the world with more than 2 billion banner ads delivered to over 12 million mobile users. 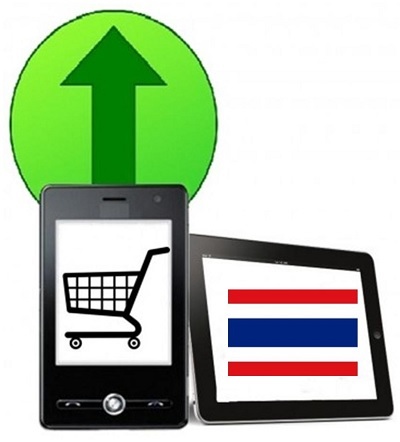 Thailand’s digital economy is one of the fastest to develop in the world. From the first quarter, the country experienced a 42% growth in mobile advertising. Changing trends in international and national online shopping supported this remarkable increase in advertising. An extremely thorough report that was commissioned by the Mobile Marketing Association and was carried out by global advertizing network, BuzzCity, showed that more consumers were shopping online and via their mobile devices than ever before. It was found that half of mobile consumers regularly made online purchases. Almost 1 in 5 looked up products online prior to making in store purchases. Altogether, over 70% of mobile users engaged in online shopping. Furthermore, of the Thai consumers who were surveyed, 59% engaged in online shopping, with 1 in 4 utilizing their mobile phone to buy goods and services. In addition, shoppers in the country were using their mobile devices to educate themselves before buying. 29% of mobile users said they used their mobile devices in-store to read online product reviews before making a purchase, while 24% said they used their phones in-store to consult with family or friends to obtain their opinion about a product. The most popular products purchased online were clothes and accessories (38%), groceries (25%), computers/electronics (18%) and music (15%). According to the report India came in first in mobile advertising in Q2. The survey conducted by Buzzcity occurred from April to May and involved 3,590 participants from 26 countries, which included 11 Asia-Pacific markets. While Thailand ranked ninth, India took the top mobile advertising position during Q2 with over 22 billion advertisements, more than 131 million mobile surfers and a 10% quarterly increase. Indonesia took second place with over 16 billion ads, more than 68 million mobile users and a 1% increase.